It's the movie of the summer and it'll break your heart. A five-year-old wakes up on a train travelling thousands of kilometres across India, far away from his family and the small remote village he calls home. Arriving in the chaotic, poverty-stricken streets of Kolkata, he manages to get by on his own for weeks, before being taken into an orphanage and adopted by a couple in Tasmania. Years later, now a young man living in Hobart, his curiosities begin to unfold with the advent of Google Earth. Scouring satellite images of familiar landmarks across India, he is searching for something, anything that will lead him to the family he has visited in his dreams since he was a boy. For years, he searches until one day he sees something that drives him to set off on a journey that will change his life forever. If you're not already familiar with Saroo Brierley's heartfelt memoir, A Long Way Home, the soon to be major film starring Nicole Kidman, Dev Patel and Rooney Mara has already received international acclaim. 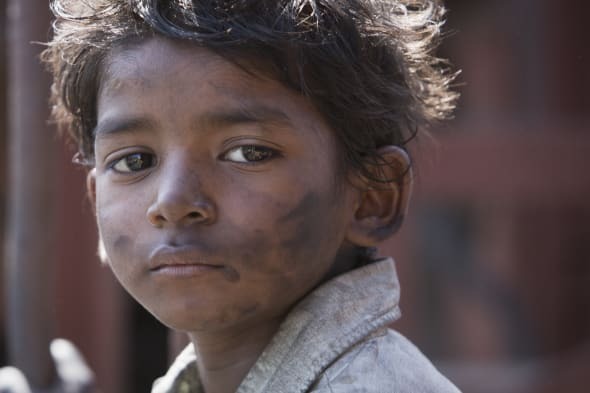 Sunny Pawar plays the young Saroo. Lion's director, Garth Davis, is making his feature film debut after Top of the Lake. He said it is a timeless story underpinned by spirituality and fate. "Saroo told me that when he goes to sleep at night he would fly home and imagine going down the laneways of his village before whispering in his mother's ears, 'I'm alive'," Davis told The Huffington Post Australia. "And his mother said she felt like she could hear him." The film -- which already has Oscar buzz -- follows Saroo as he overcomes all odds to find his birth mother, Kamla, after 25 years. Dev Patel followed a punishing weight and food regime to bulk up for the role. She was still living in the village he'd grown up in -- she'd never left -- and never gave up hope she'd see her son again. Davis spent two months in India prior to writing the script and was thrust into deep, intense emotion on the very first day of the trip. "60 Minutes were there with Saroo to introduce his two mothers and I witnessed Sue [Saroo's adoptive mother, played by Nicole Kidman] meet Saroo's birth mother, Kamla, for the first time," Davis said. In that moment, Davis had no idea his vision for the film would come to fruition. 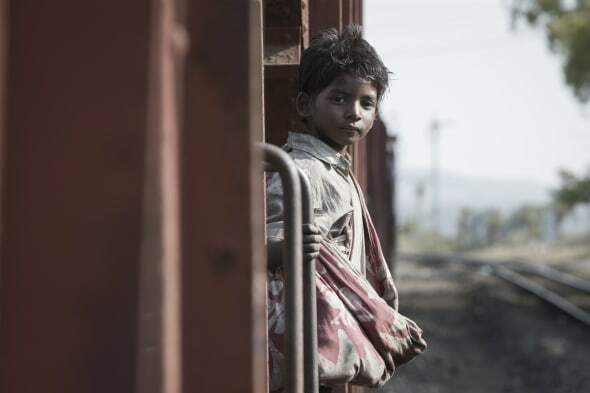 Many critics are dubbing Sunny Pawar as this year's breakout star. "It's one of the things I still can't get out of my head. After the mothers had met, it was very emotional and they were both embracing Saroo," Davis said. "I was stood behind them and I saw this man with an Indian arm and an Australian arm just holding him so tightly -- there was so much love and these two strong mothers standing together -- it was incredible, that was the movie right there," Davis said. 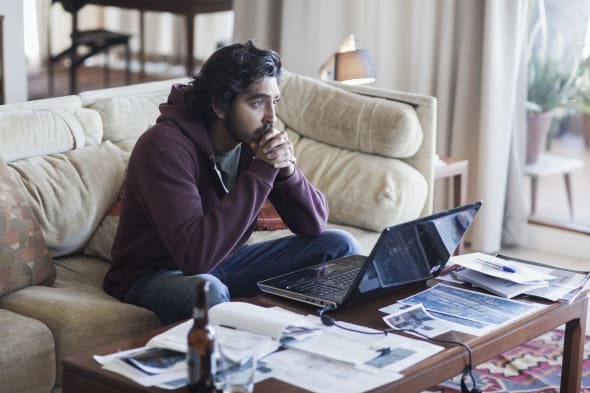 Dev Patel (Slumdog Millionaire, The Best Exotic Marigold Hotel) plays Saroo as a young man and tracked Davis down as soon as he heard they were making the film. "We hadn't even started writing a script yet and Dev showed up on our frontdoor," Davis said. Rooney Mara plays Saroo's on-then-off girlfriend, Lucy. Patel made a convincing argument. Davis told him he needed to put on some weight, learn the Aussie accent and warned him he'd put him through his paces. "It was a special story, we had to get it right. Dev put eight months into that role and he was extraordinary," Davis said. Sunny Pawar plays the young Saroo and with no prior acting experience his performance will stay in your mind long after the final scene, as will the chemistry he has with Kidman, who is equally as stunning. Davis describes the cast as "one of those great unions." "It's one of those things where if you collect the right people and the right talent, and everyone is respected for what they are and who they are, something very magical can happen," Davis said. "Lion" is released in cinemas nationally January 19.